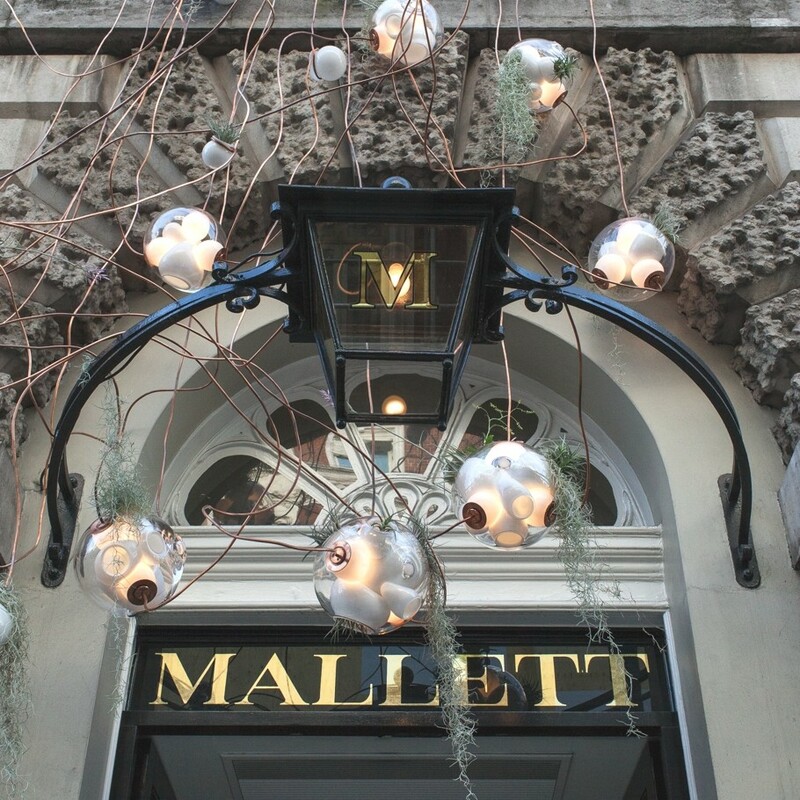 For the last 150 years Mallett has been sourcing 18th and 19th-century English furniture for collectors, royalty and museums across the world. 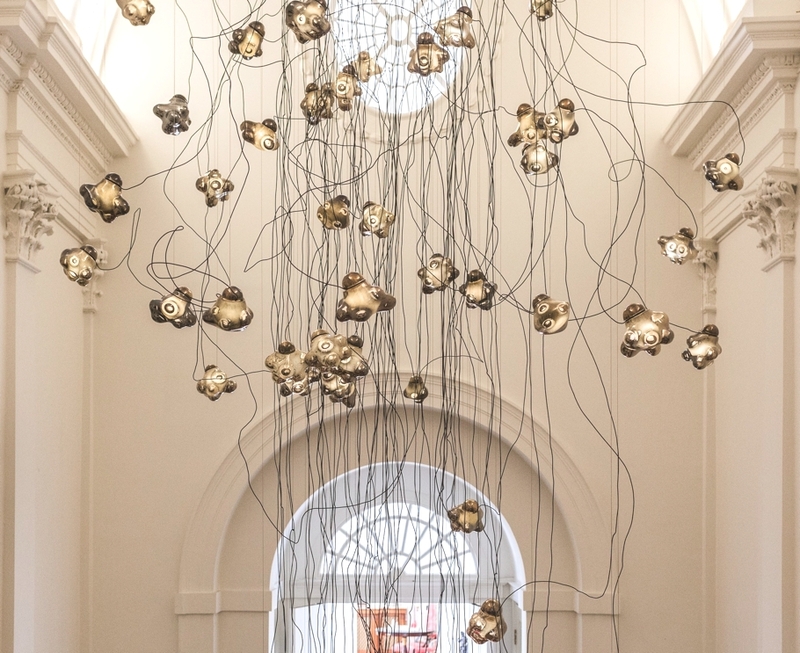 But this year at London Design Festival, the great antiques dealer unveiled another triumph, in the form of a monumental chandelier, which is hung in the original stairwell of its headquarters – Ely House – a London palace built in 1722 for the Bishop of Ely. 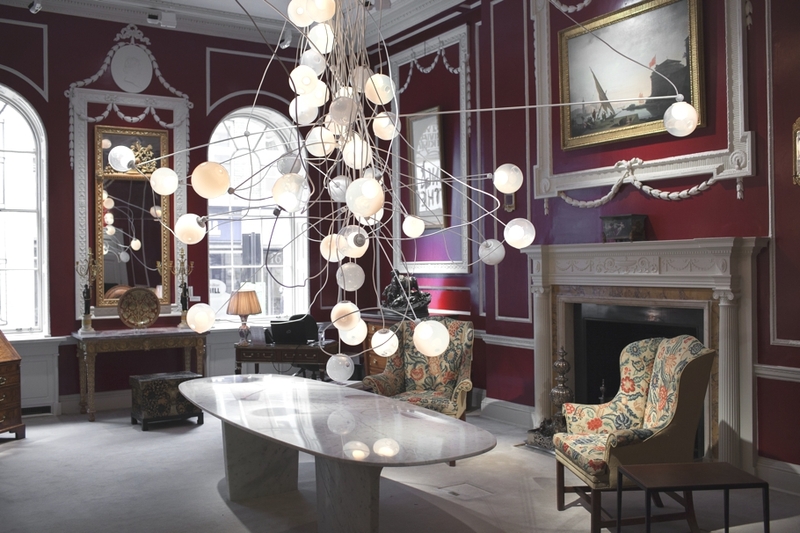 With the new millennium, Mallett started building close relationships with contemporary designers, extending its field of expertise to the latest trends of furniture design. The firm has now begun commissioning internationally renowned designers such as Barber Osgerby, Matali Crasset and Tord Boontje. These new pieces formed the Meta collection and were exclusively made to order by the finest master craftsmen across Europe and America. 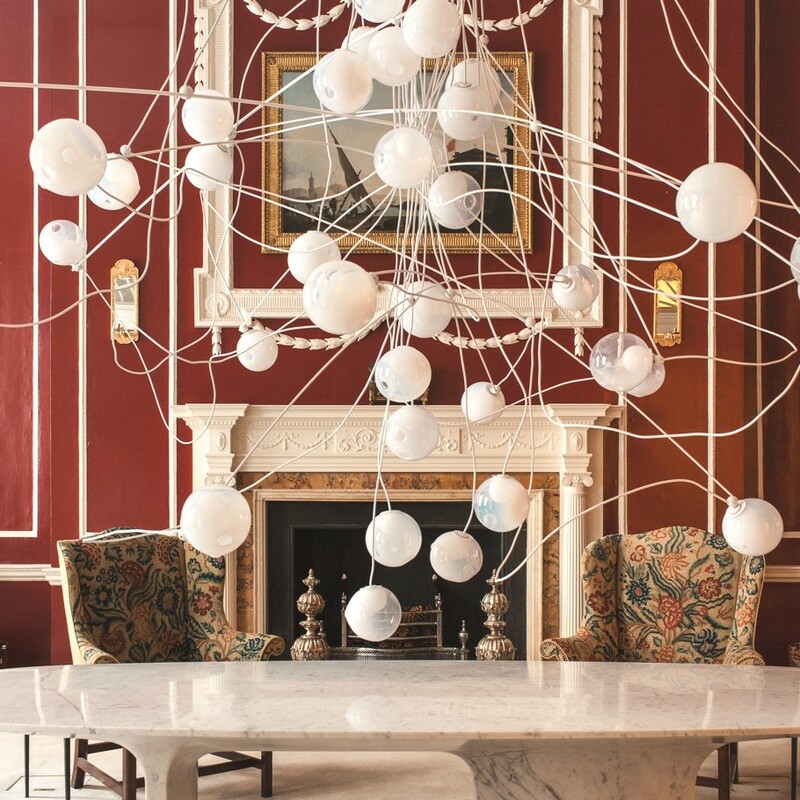 The antique dealers recent collaboration was the chandelier, a joint installation with Bocci, the Vancouver-based design company, showcasing their “bespoke 57” design. 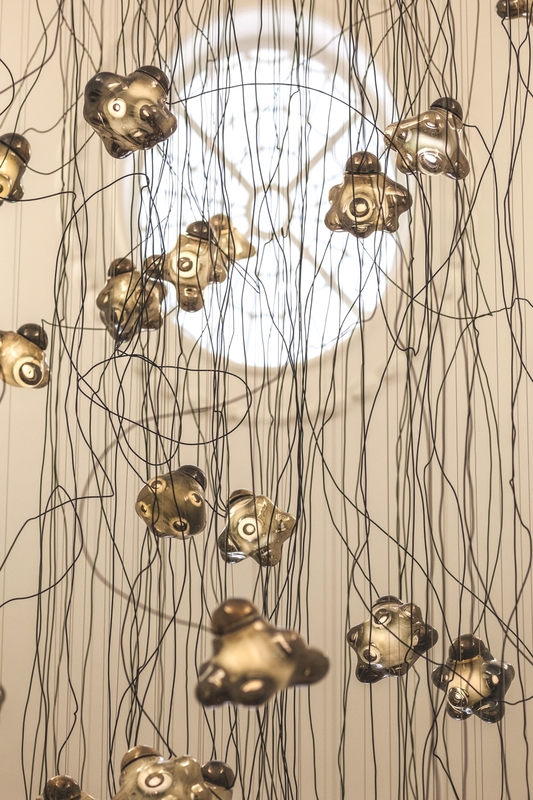 These glass lights explore the process of trapping voids of air in molten glass coated in metal to create dramatic depth when light. 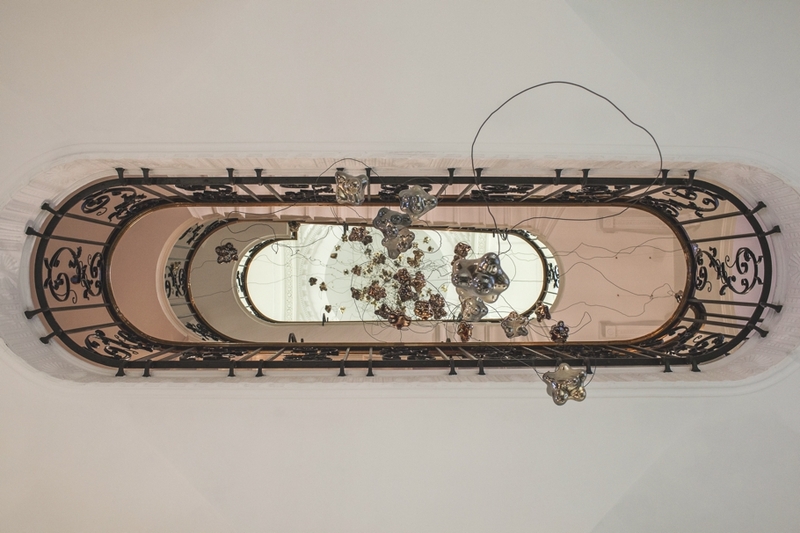 The wow-factor and dramatic chandelier is on display in the stairwell of Ely House and will remain there until the end of the year. Touzet Studio a Miami-based architectural studio has designed North Bay Residence. Completed in 2008, this contemporary home is located in Miami Beach, a coastal resort in Miami-Dade County, Florida, USA. 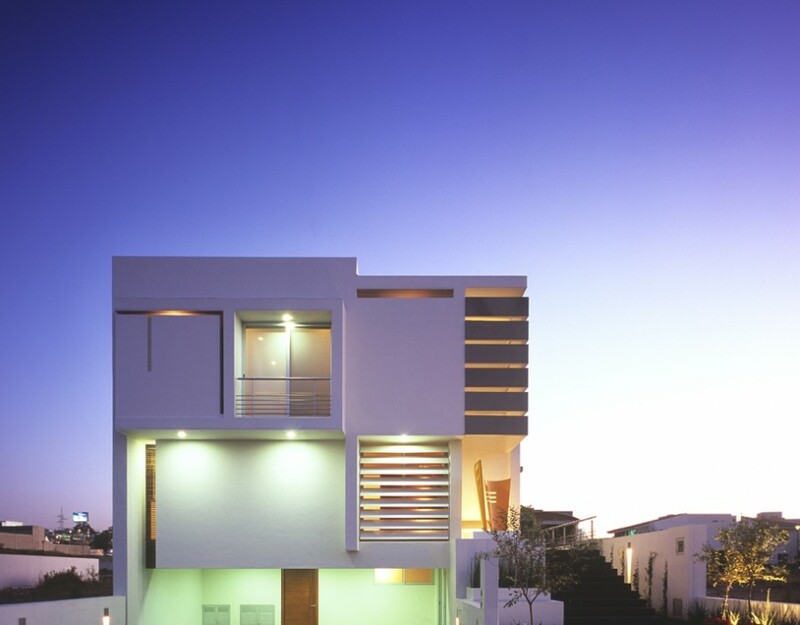 Guadalajara-based architectural practice, Agraz Architects, have designed the PC House project. The luxury family home has been designed with elegance and style in mind. The property can be found in Guadalajara, Mexico.